The trail begins at the Spruces Campground behind campsite 23, just beyond the wooden sign that says “Spruces Trail Access to Virgin River Rim.” The trail ascends a short slope to reach the Navajo Lake Loop Trail, where you turn left at the junction. Contouring east along the hillside, the trail parallels the Navajo Lake Road. Expect to see and hear traffic below you—not ideal for those looking for a remote or secluded hike. Traffic aside, the trail has nice views of the lake, campground, and forested slope. If you look left after hiking a quarter mile, you see the skeleton of a towering Douglas fir. The dead tree stands over 100 feet tall, is 13.5 feet in diameter and 500 to 600 years old, making it one of the largest Douglas fir trees discovered in the continental U.S, according to the sign marking the discovery. Tree coverage along the trail opens up after the first half mile, and you can see the dike built between 1933 and 1945 that creates Navajo Lake. Without the dike, Navajo Lake could dry up because of a sinkhole in the eastern lakebed where water seeps into subterranean tunnels and caves that emerge at Cascade Falls, a waterfall about 2 miles to the southeast. Depending on water levels, the area east of the dike may have water or be completely dry, but the western portion of the lake is a permanent recreational reservoir. Soon after passing the dike, you walk through a grove of young aspen trees, enjoying red splashes of Indian paintbrush blooming beside the trail in summer. At about 1 mile, you come to a trail junction where you turn right on the Dike Trail. Long switchbacks lead you to the top of the ridge. You cross a flat meadow to get to the southern edge, which is the Virgin River Rim about 2.5 miles from the trailhead. When you get to a wooden sign at the rim, turn right towards Navajo Campground. As you contour along the rim, trees frequently block your views, but, every so often you catch glimpses of sunset-colored cliffs and panoramas to the south including Zion National Park and the headwaters of the Virgin River. The trail takes a northeast turn, and you walk towards Navajo Lake for the next quarter mile. You briefly dip down to a saddle as the trail descends a few switchbacks. A wooden sign at 3.75 miles marks the trail that goes directly back to Spruces Campground, but you continue straight ahead towards Navajo Campground for the full loop. 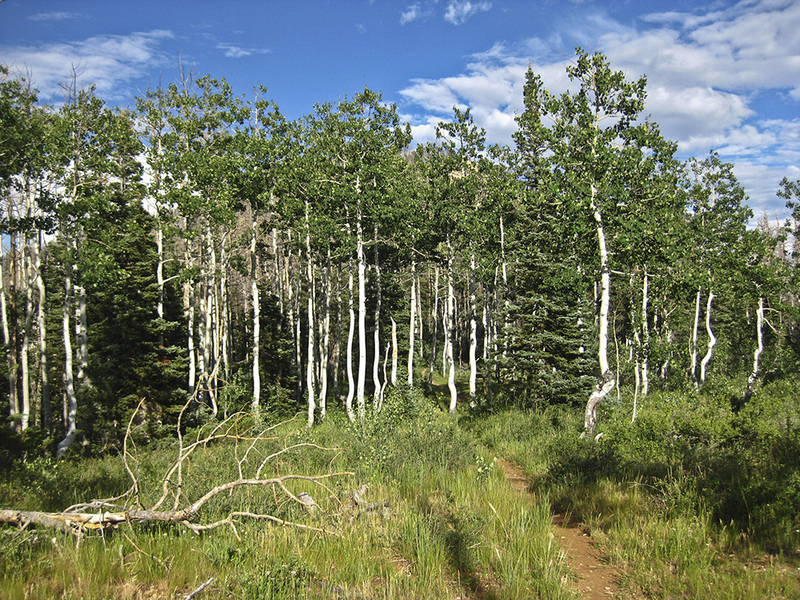 In the next half mile, the trail alternately passes through grassy meadows, aspen groves, and spruce-fir forests. 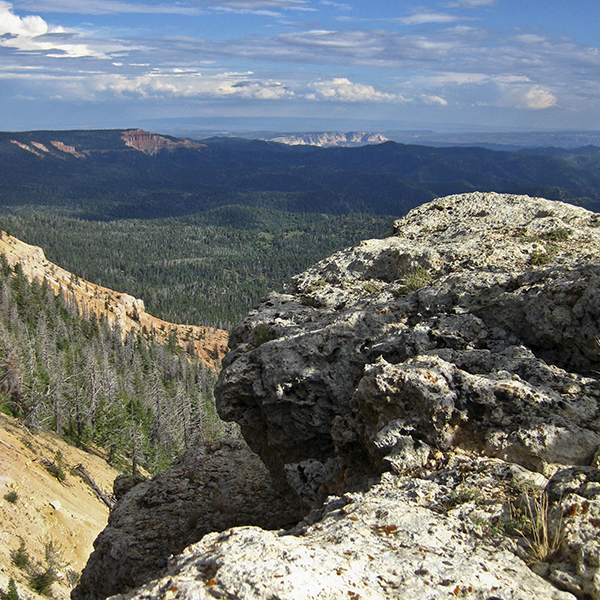 The trail switchbacks up to the top of the rim again and continues through the forest with occasional panoramic views. Around 5 miles, the trail turns north and begins to descend down another drainage. At this point, you will reach a signed junction where you continue straight (north) towards Navajo Lake and Navajo Campground. With the lake in view, make your way down the drainage until you reach the intersection with the Navajo Lake Loop Trail. As you contour along the hills on the south side of Navajo Lake, you might see boaters and swimmers enjoying the water. 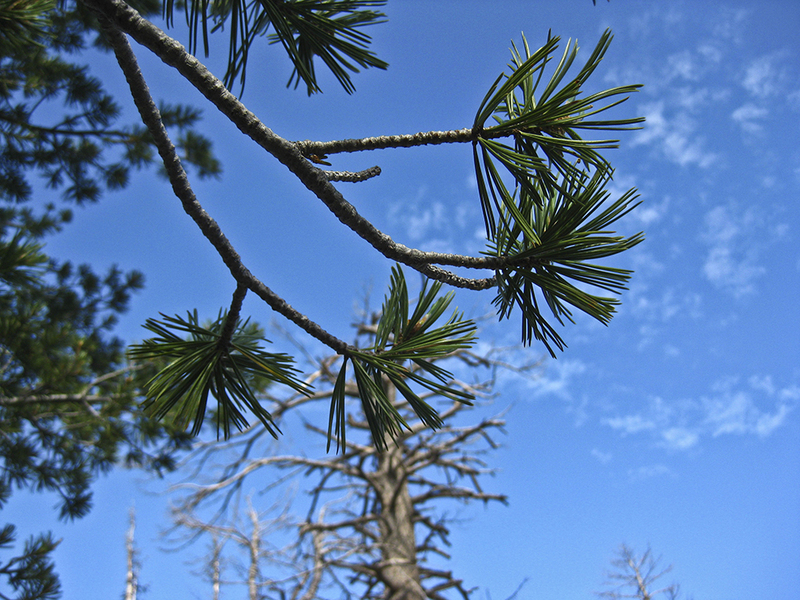 You return to Spruces Campground where you started the hike after about 7.3 miles. 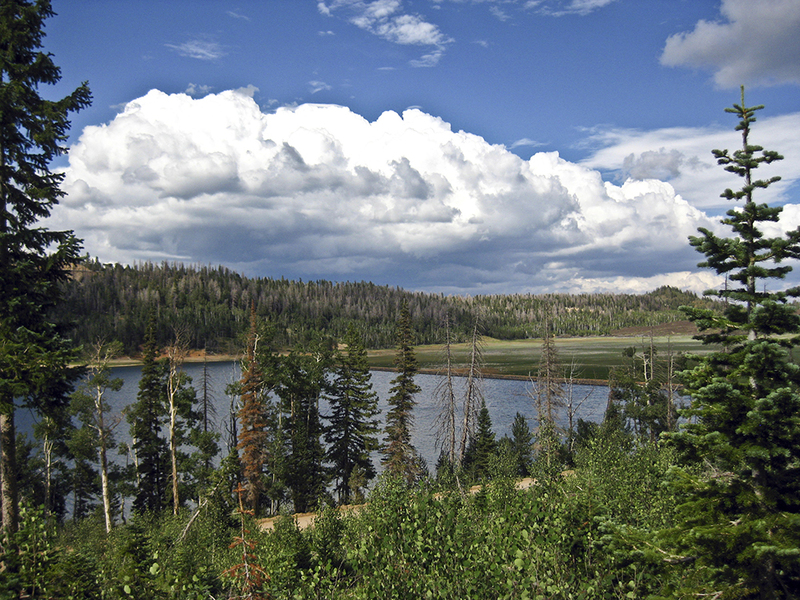 From Cedar City, Utah, drive east on UT 14 for about 25 miles before turning right onto Navajo Lake Road. After passing a brown gate and trash pickup area, the road curves around the south side of Navajo Lake and follows the shoreline. Drive past the dike at 27 miles and arrive at the Spruces Campground and day use area in another half mile. Turn right and park in the gravel lot. Here, you find lake access, bathroom facilities, and potable water. 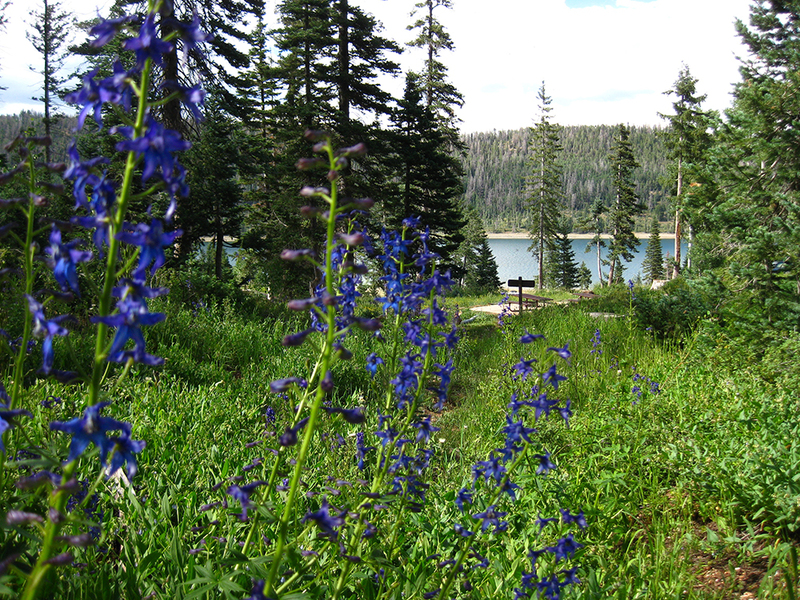 Fill up your water bottles and cross Navajo Lake Road to the south campground.